WASHINGTON, DC / ACCESSWIRE / December 5, 2016 / Brad Nierenberg, the innovative CEO of RedPeg Marketing in Alexandria VA, understands how important a positive corporate culture is to employees, and also to a business' bottom line. As the founder of an experiential ad agency, Nierenberg has realized that the individual experiences of employees have a much more significant impact on morale than the typical business-offered "morale boosters." The creative marketing expert recently shed light on the three most important aspects of creating a meaningful, productive, and thought provoking work environment. In 2012, Columbia University researchers conducted a study on the effects a company's atmosphere has on its turnover rates. They came to the conclusion that employees were 45% more likely to leave a job with poor culture than one that provided positive experiences. The results also showed that employers who cultivate a rich work setting often enjoy retention rates as high as 77%. The first step, Brad Nierenberg states, is to welcome creativity. At RedPeg, Nierenberg takes the open door policy a step further. To his managers he asks, "Is your door really open? Are you truly encouraging fresh thinking?" If ideas are immediately rejected or disregarded by superiors, employees feel their professional growth is being stunted, and the business in turn suffers when they refrain from contributing again. In order to achieve company-wide growth, the creative process demands that new concepts and solutions be embraced and encouraged, not discouraged. Industry powerhouses like Google and 3M are a direct result of innovation from within. Google actually encourages staff to dedicate one day a week to creating new concepts. 3M's most successful product, the Sticky Note, was completely designed by employees. Managers must be able to accurately identify a person's strengths and weaknesses, and create tasks that allow them to maximize the impact of their talents. A recent poll by Gallup showed that putting these techniques into practice will result in employees being 7.8% more productive and six times more likely to be engaged in their job. When a team is compiled to successfully take advantage of its strengths, its work output is increased by 12.5%. In other words, more is being accomplished, and those completing the jobs are also receiving immense satisfaction doing the work. Finally, and most importantly says Nierenberg, officemates must feel like they are surrounded by a second family. To accomplish this, he curates experiences that build deeper bonds between his employees. Each week he sends three employees from different departments out to lunch. Called the Three Amigos, this helps team members get to know each other in ways that may not happen in the office. Nierenberg has also rented a beach house during the summer and sent different sets of employees there. The resulting bonds are stronger than what could be achieved in the day-to-day work back at the office. Inevitably, conflicts will occur, but those moments of uncertainty should be used as a chance to work towards something greater, together. High levels of respect, trust, and comfort will make the countless hours of working closely together a rewarding experience. Treating employees as valued contributors helps employers to continually improve and adapt the workplace to best optimize culture and productivity. 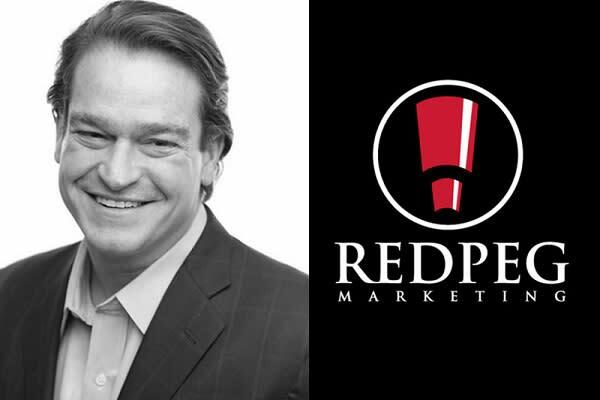 Brad Nierenberg is an entrepreneur and the President & CEO of RedPeg Marketing. With over 20 years of industry experience, Nierenberg has won several awards for his contributions to the field of Experiential Marketing. Besides being a nationally sought after speaker, his written works have been featured in The Wall Street Journal, The Washington Post, and Inc. Magazine, along with many other prestigious business publications. Today we'll look at Western Forest Products Inc. (TSE:WEF) and reflect on its potential as an investment. Specifically, we're going to calculate its Return On Capital Employed (ROCE), in the hopes of getting some insight into the business. First up, we'll look at what ROCE is and how we calculate it. Internet television network Netflix late Tuesday easily beat its target for new subscribers in the first quarter. Netflix forecast adding 5 million streaming video subscribers in the second quarter. Netflix stock fell 0.6% in extended trading on the stock market today. Stocks with both "A" grades in the Value category and high Zacks Ranks are among the strongest value stocks on the market right now. One stock to keep an eye on is Barrett Business Services (BBSI). BBSI is currently sporting a Zacks Rank of #2 (Buy), as well as a Value grade of A. The stock holds a P/E ratio of 14.10, while its industry has an average P/E of 22.86. Stocks with market capitalization between $2B and $10B, such as ManTech International Corporation (NASDAQ:MANT) with a size of US$2.2b, do not attract as much attention from the investing community as do the small-caps and large-caps. This article will examine MANT's financial liquidity and debt levels to get an idea of whether the company can deal with cyclical downturns and maintain funds to accommodate strategic spending for future growth. Note that this information is centred entirely on financial health and is a top-level understanding, so I encourage you to look further into MANT here.